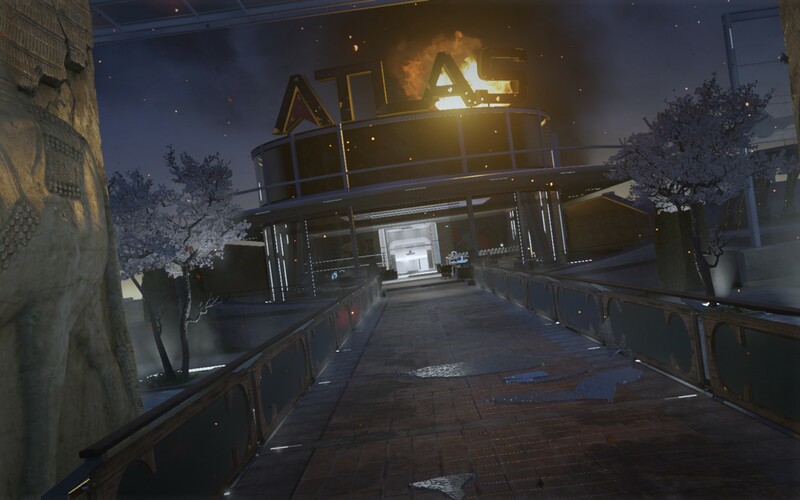 Call of Duty: Advanced Warfare: Atlas Unchained. The Call of Duty franchise is strangely polarizing among gamers. For some it’s one of the most abhorrent examples of what the current games industry is, with yearly product cycles and numerous DLCs coupled with lowest common denominator game play. For others they’re something else, an equivalent to the popcorn titles that grace the cinemas, to be enjoyed for the spectacle that they provide and nothing more. I most certainly fall into the latter camp as I enjoy the titles for what they are and am usually done with them before the first DLC drops. 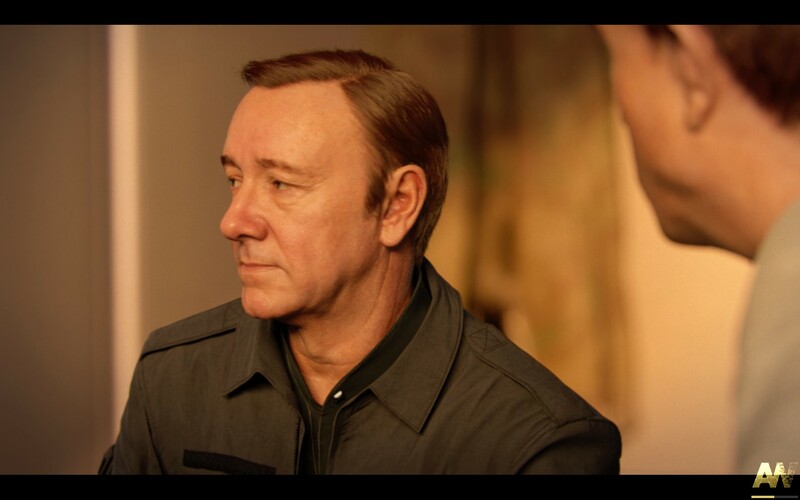 The latest instalment, Call of Duty: Advanced Warfare, ramps up the ludicrous by taking us to the near future where technology is so advanced it begins to look like magic. The year is 2054 and you are Private Jack Mitchell of the United States Marine Corps. Your first mission is to support South Korea as their brothers from the North have finally decided to make good on their endless tirade of threats. During the fighting however one of your brothers in arms is struck down and a piece of flying debris severs your arm. Several days later at his funeral you’re approached by his father, Jonathan Irons, CEO of Atlas Corporation, the worlds most powerful military contractor. He offers you a second chance, to get back into action and to right all the wrongs that led to the deaths of people like his son. Equipped with the latest military grade prosthetic arm you follow his lead into battle but it soon becomes clear that Irons’ goals are far more ambitious than you could have known. 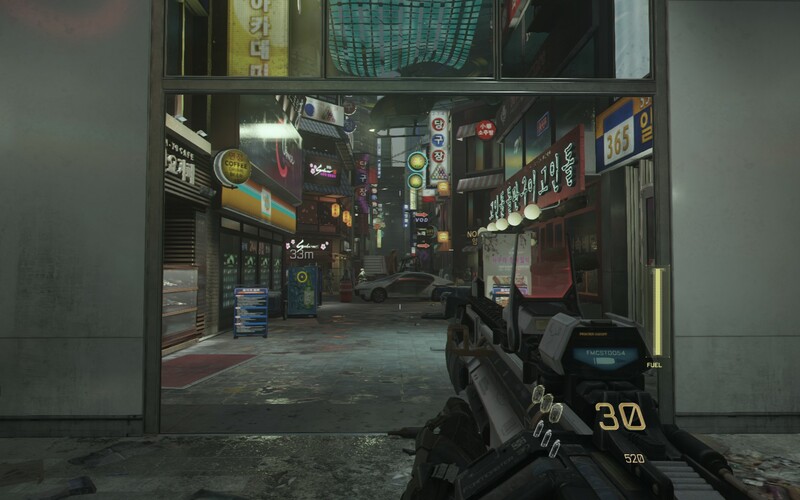 In it’s default state Advanced Warfare, to put it bluntly, looks like absolute garbage. I’m not exactly sure why but it seemed to assume I was running it on the computing equivalent of a dry potato and dialled the graphics all the way down to its barest minimums. Now my machine is by no means cutting edge but it’s been able to handle every other Call of Duty title at near maximum settings without hassle. Tweaking everything upwards however brought back the level of graphics I had come to expect from such high budget titles without the performance hit I was dreading based on the initial settings it had chosen for me. Whilst there were fewer stop and gawk moments than previous titles (mostly due to the insane amount of action going on) it’s still a rather good looking game, a big achievement considering how many platforms it was released on. Advanced Warfare’s plays pretty much how you’d expect it to, given its Call of Duty lineage, however it’s the first in a long time to introduce a core mechanic that shakes up their traditional corridor shooter game play. For the most part you’ll still be running through tight urban environments, laying waste to the enemy du jour, however now you’re equipped with an Exosuit that bestows upon you certain abilities like being able to double jump or regenerate health. The near future setting has also allowed first time Call of Duty developer Sledgehammer Games a great deal of freedom in designing the weapons, some of which are pure science fiction goodness. All this, combined with a couple new interesting mechanics, makes Advanced Warfare a far more varied and interesting game to play than its Call of Duty moniker might first lead you to think. Combat is, as always, smooth, refined and incredibly fast paced. It’s great to see that Sledgehammer Games was able to replicate the essence of what keeps people coming back to the Call of Duty franchise with their first title as it could’ve easily gone the other way. For the most part combat is challenging enough, punishing you for mistakes whilst rewarding you for good play, however some of the larger battle scenes suffer from an overzealous AI who will pin you, and only you, from every angle. This can lead to some frustrating sections where you have to carefully plod your way through, even though the scene seemingly wants you to run out guns blazing. This may be a function of me playing on the second hardest difficulty but still, sniper accurate AIs using SMGs at long range doesn’t make sense no matter what way you slice it. The exosuit is by far the stand out mechanic for Advanced Warfare as it’s almost a free license for the developers to give you any kind of power for a specific situation. This includes the rudimentary things like slowing down time and regenerating health to more ludicrous items like cloaking and an unlimited grappling hook. 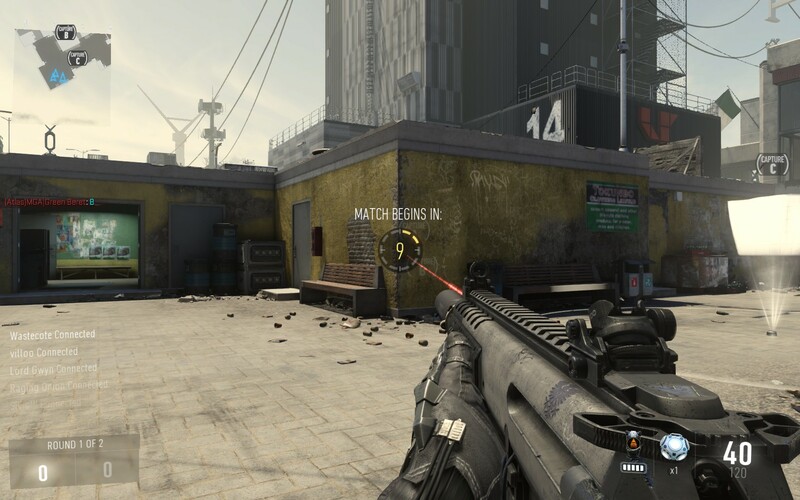 These abilities also allow for many of the maps to be more open than they have been in other Call of Duty titles, allowing you some more control over how combat plays out. Unfortunately you’re never given control over how your exosuit is configured which is a bit of a shame since there are some abilities I’d favour more over others. There is a rudimentary upgrade system for the single player campaign which can turn you into a rather broken super solider if you invest your points well. I didn’t get much of a chance to sit down with the multiplayer side however it does appear that Advance Warfare makes a return to the smaller, tighter maps that were favoured in previous Call of Duty titles.This means that the spammy, rushy game style that I like to play is viable once again and even with the default classes I found myself being pretty effective, something which usually isn’t the case. However the handful of games I played often suffered from lag, spikes and rubber banding which made it far more frustrating to play than what it should have been. I’m not sure if this is a function of the number of players or just some incredible bad luck but it seemed if there was one laggy person we’d all end up suffering. Advanced Warfare, whilst being a highly polished game in most respects, still has a few rough edges that I hope will be smoothed over in Sledgehammer Games’ next release in the franchise. I had numerous occasions where enemies were able to shoot through walls, a frustrating thing to happen when you get behind cover only to die to a hail of gunfire that shouldn’t be able to hit you. The sound engine also seems to struggle when you change between headphones and speakers, even when you change it from within the game. Whilst these are issues you can work around they still add a layer of frustration that shouldn’t be in a big budget title like this but I’ll give Sledgehammer Games a pass since this is technically their 1.0 release. The story of Advanced Warfare is your pretty typical Call of Duty shtick, light on the details and back story but makes up for it in spades with action and explosions. After the first hour it’s pretty easy to figure out where everything is going but with high calibre talent like Kevin Spacey on board it’s hard not to get drawn into it regardless. So whilst you might not have the emotional investment in the characters to warrant the kind of reaction the writers were going for it’s still enough to drive the game forward. Call of Duty: Advanced Warfare was a gamble that has paid off for both the franchise and Sledgehammer games, demonstrating that they’re able to replicate all the things that make this series great. The combat is fluid, fast paced and satisfying, expanding on the traditional corridor shooter with additional mechanics that are pure, and awesome, science fiction. It may be let down somewhat by its story and rough edges but overall it slots beautifully into the franchise. This should hopefully then flow on to the rest of the Call of Duty titles as they’ll now have an extended development time frame, something which can only lead to bigger and better things. For lovers of fast paced corridor shooters you really can’t go past the Call of Duty series and Advanced Warfare, I’m glad to say, is another great instalment. 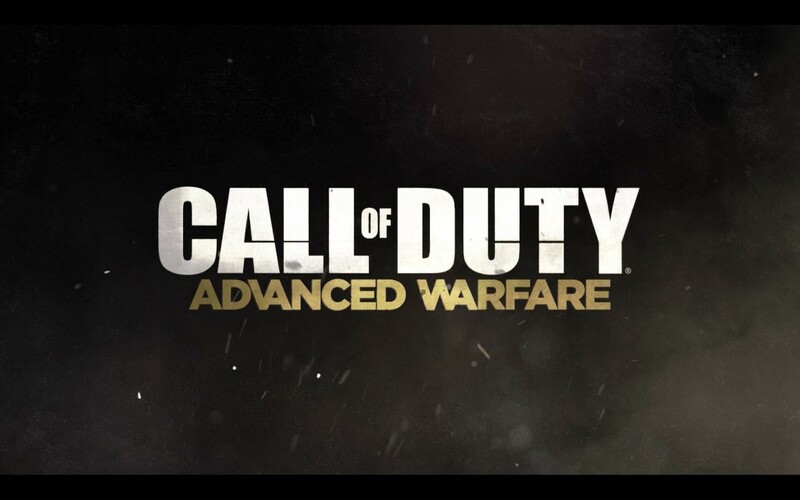 Call of Duty: Advanced Warfare is available on PC, PlayStation3, PlayStation4, Xbox360 and XboxOne for $89.95, $99.95, $109.95, $99.95 and$109.95 respectively. Game was played on the PC with a total of 8 hours played and 49% of the achievements unlocked.